Microsoft Visio Professional 2016 is a powerful diagram builder for professional and home usage. It provides all necessary tools for simple creation and sharing of data linked diagrams which organize and simplify complex information sets. What Microsoft Visio Professional 2016 offers? The core function of the Microsoft Visio Professional 2016 is creation and presentation of advanced diagrams. The software features simple and clear interface to make up, manage, edit, publish and share professionally made versatile diagrams via using templates developed for all aspects of business or from scratch customizing a diagram to ultimately simplify complex information and to easily communicate your ideas to end users. •	updated shapes to simpler perform your ideas and to set relations and connections between blocks. Mind that all the shapes are customizable and the software offers you all the necessary tools for editing and changing the objects in the project to best meet your needs and requirements of the project. •	templates which sufficiently accelerate the diagram building. You can choose a ready made template and just bring in necessary changes or use the diagram template unchanged with only renaming of blocks and structures. All the templates are customizable, so you will be able to add and delete blocks as well as to change and update them. The Microsoft Visio Professional 2016 ensures advanced collaboration allowing several people to work on the same project at the same time. The software ensures every change made to the project being saved and prioritized. To simplify the workflow the software blocks the parts which are changed or redesigned by the moment by another team member. Another powerful feature you can benefit from in Microsoft Visio Professional 2016 is its linkability. Every piece of diagram can be linked to data stored online or on your PC with no-restriction access from the intranet. Thus the Visio ensures ultimate collaboration. You can create project schemes, plan business processes and design workflows with this simple instrument from Microsoft and provide people with data they will need to complete the task. The opportunity to link to a certain piece of information allows to eliminate text overloading of the created diagram and saves time. Moreover, if something goes wrong or gets deleted by mistake, then renewing the link is easier than restoring text or numeric information. 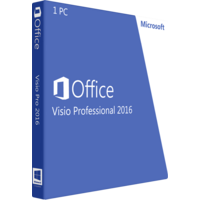 Microsoft Visio Professional 2016 is a great product for office and home usage. It enhances business communication within teams as well as helps to organize educational process. Being a product from Microsoft, Visio inherits features and modes of application of tools from standard Microsoft applications. Thus you will eliminate immense learning curve. New interface of the product ensures clear vision of its architecture. The staff has quickly found an opportunity to give me the indefinite license for Autocad 2013.  I made a payment on the site by means of credit card, without delay. I had a comfortable feeling of cooperation with professionals. Everything was clear, well-established, without asking too many questions or delays in delivery. Of course, the product is quite expensive, but it is still cheaper than the annual subscription. Moreover, as they told me, that now the manufacturer sell only them, so I was lucky to find the box for my working needs! I am very happy. I ordered Microsoft Office Home and Business 2010 for the work in this shop. I paid it online on the site. I was pleased with the prices and availability – I couldn't find a similar offer anywhere. My purchase was quickly sent to my e-mail. They did everything they promised to do. Great. Thank you so much, guys. I’d like to thank you for your help and leave my feedback. Only thanks to you I understood, w2hat was really necessary for my laptop and finally bought it!!! Now I am sure that it is better to buy a license not to be afraid that something might happen. I will call you again. Thank you very much!!! I decided to buy licensed Adobe Muse CC 2015. I called to the shop to get an advice, what is better to buy. I was satisfied with the consultation, it was very informative! I have no objections to the work of the program and to the shop. The staff works fast. I made a payment, got the key and installed the program – everything worked) The price was really pleasant! We are open to our customers and are willing to help you to buy a necessary product at the lowest price. If you do not find a proper product in our catalog, please contact our customer support. © 2016 sixpencesoftware.com All Rights Reserved.